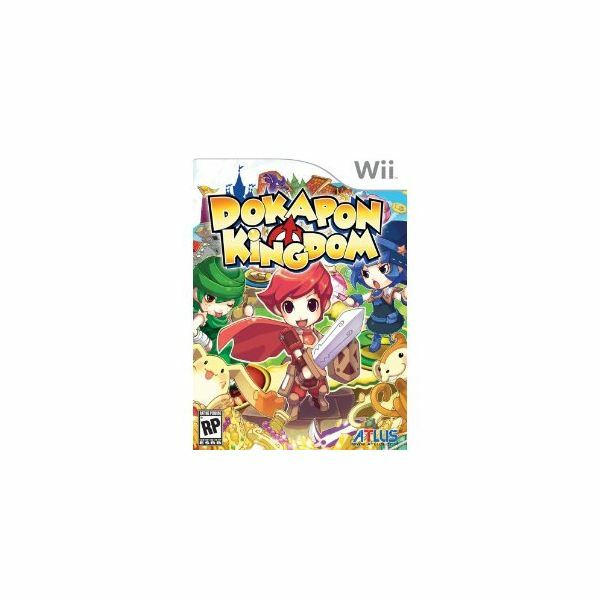 Not only is Dokapon Kingdom for the Wii, but it was also released on the Playstation 2 system in 2008. This game is a fantasy based anime style Japanese role playing game and many people of all ages have found it rewarding in Japan. It got less notice statewide, but many diehard JRPG players find the game enthralling, as well as young children around the ages of 9 and up. Set in the fantasy land of Dokapon Kingdom, you play as 4 warriors who must save the kingdom from hordes of monsters. The reward for doing so is marrying the king of Dokapon’s daughter, Penny. The game will end once you defeat all of the 4 bosses scattered around the parts of the kingdom. You can make the game last longer by completing each of the small quests and getting as much gold as you can find which will increase your chances. So the plot may be a bit simple and typical, but this is definitely not where the game shines. 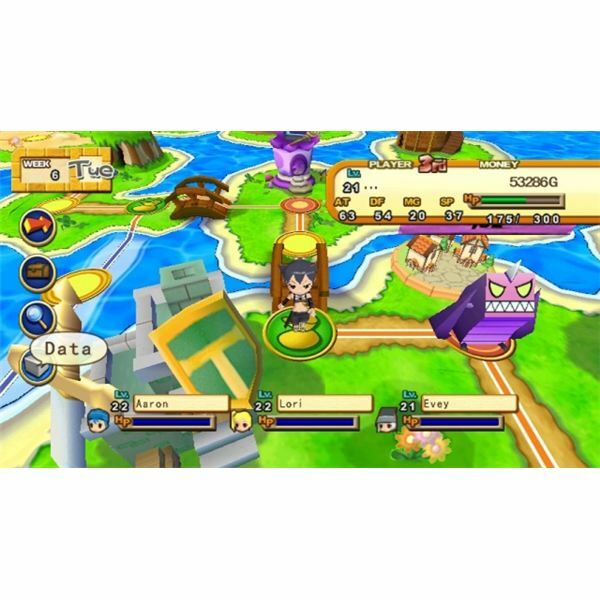 Dokapon Kingdom takes two elements into its game play; a role playing game infused with some board game elements. 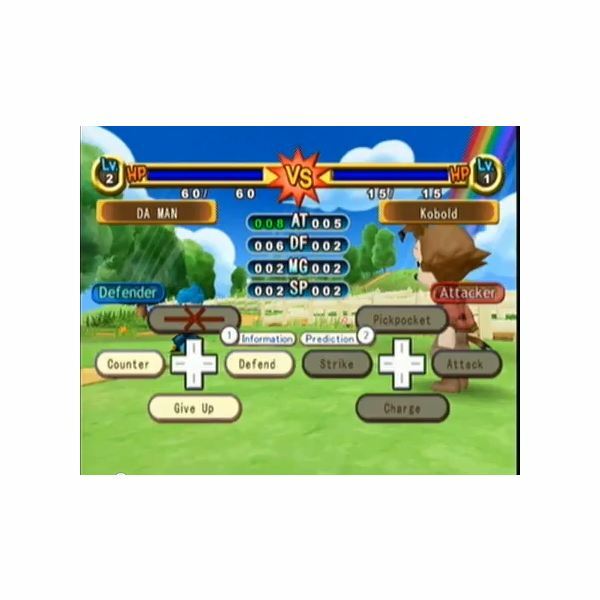 You must use a spinner, which will move your character across the board and if they hit an empty space, they will have to fight a monster or two. You may also find a magician along the way on the board who will give you upgrades or sometimes unleash an enemy. The fighting style is pretty much set up like any other console RPG except it has a bit of rock, paper, and scissors into it. Your options are counter, defense, and attack and you can learn many new spells for attacking the longer you journey across the board. On single player mode, you play as two characters of your choice as either a warrior, sorcerer, or thief. You must beat out the other two AI players who are competing against you. The object of the game is who can get the most gold, kill the most enemies, and marry the princess before the others. Controls in this game are very user friendly. Use the d pad on the wiimote to move down the selection of options such as move, look at inventory, look around the map, and stay put. You can press the a button view your space, the 2 button to speed up the walking process and the b button will bring up the map once again before you venture across the board. For battles, the d pad is used to defend, give up, attack, and counter. There is nothing difficult about the controls of this game, making it very family friendly and even much like the Mario Party series. 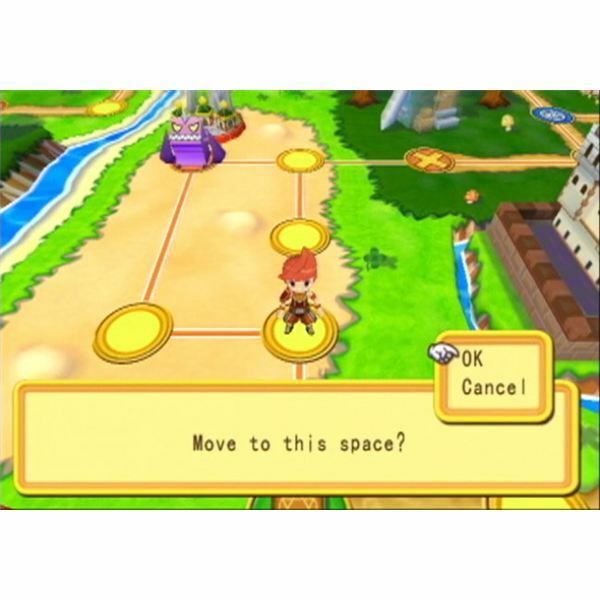 With the Mario Party series in mind, Dokapon Kingdom can be compared to an RPG version of those games. Up to four people can play together and compete for the princess’s hand in marriage. You must hinder the progress of the other players by hiring bandits to steal their gold or assassins for them to battle, making the process of reaching the goal longer. You can also steal their tax revenue on cities causing them to lose gold. This is honestly a great game to play with the family as it is very competitive in such a friendly way. The graphics are very solid and have vivid colors matching up with the chibi style characters the game presents. There are a few blocky areas that are not smoothed and tend to look a little like an N64 game, but this is not much of an issue, especially considering that the game focuses on game play and multiplayer rather than having the best graphics. 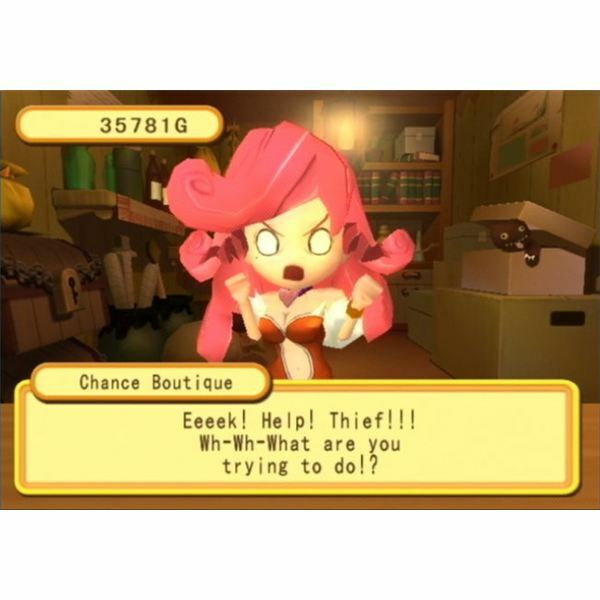 The characters and enemies are cutely crafted and the environments dazzlingly shine. The sounds and music of Dokapon Kingdom are much expected. Some of the voice overs are still left in Japanese while others are in English and high pitched. The music is very childish and happy without sounding too annoying to handle for long periods of time. It sounds almost like a Zelda game mixed with a medieval children’s show. The sound effects add to the game as well, with some not too bothersome clicks and twinkles. Of course nothing is award winning here but it does follow the game’s theme. 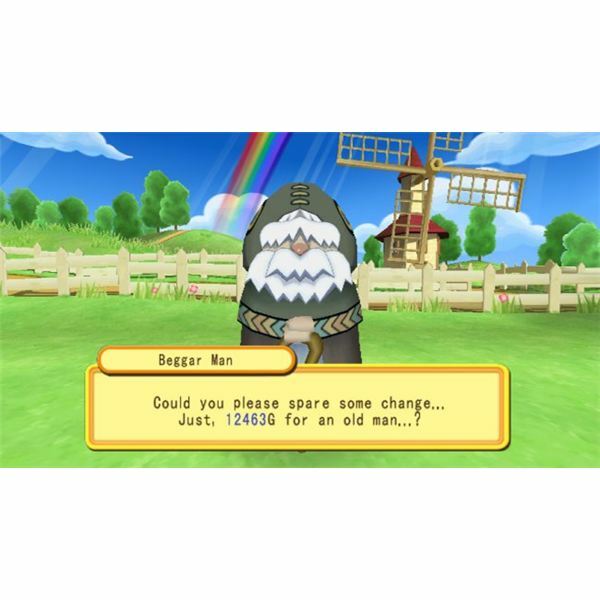 Dokapon Kingdom is a fun time waster, especially for those that are competitive at heart. What really makes the game shine though, is its use of multiplayer which can make the game ten times more fun while being played with others. This is definitely something the whole family can enjoy when family game night comes around.